The list of top prospects taking part in Winter League playoff ball is shrinking, and the list of those putting up eye-popping performances is even more exclusive. Here's a look at some of baseball's top-ranked prospects who have fared best in their leagues' postseasons. Helping the Orientales chase their first Dominican Republic title since 1968, No. 15 Reds prospect Siri has taken the baton from teammate Fernando Tatis Jr. to lead the way at the plate. Siri tore through the first three days of the Finals, batting .700/.727/.900 as his club jumped out to wins in its first two games of the best-of-9 series with Toros del Este. Siri is hitting .279 over 17 playoff games, the sixth-best mark in the Dominican Winter League playoffs. While Tatis' bat has cooled some to kick off the Championship Series, the top Padres prospect is still a factor for his hometown team. Tatis has a pair of singles, a walk, two stolen bases, three runs scored and two RBIs. His three postseason homers, 12 RBIs and eight stolen bases are tops among Dominican Winter League playoff performers. Oakland's No. 7 prospect only has two Championship Series hits, but one of them was mammoth. The Toros shortstop cranked a grand slam Saturday to help give his team to its first Finals victory. 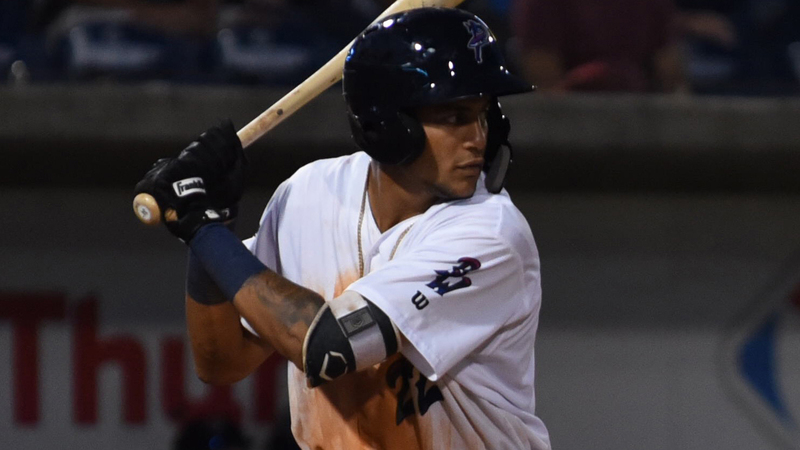 Mateo's blast came in the top of the third inning to turn an early 7-1 lead into a commanding 10-run margin after the Toros dropped the first two games of the Dominican Winter League's final stage. After Sunday's offday, Estrellas and Toros meet for Game 4 in La Romana on Monday afternoon.